Information is becoming the most valuable asset. People set challenging goals for themselves and achieve them, while in the process they are accumulating experience and improving their talents. There’s an upward intellectual trend in global community, that’s constantly hungry for clever media sources. Popular video authors are mostly driven by the idea of enlightening the masses with interesting and useful information, popularising science and in the process of doing so changing the the industry for the better. Nowadays everyone strives to produce materials that are smart, unique and fun. In the past years a niche of economic games has been rapidly gaining public interest, with an increasing amount of users looking for a way to devote their time in exchange for benefits, that will help them overcome challenges it their everyday lives. 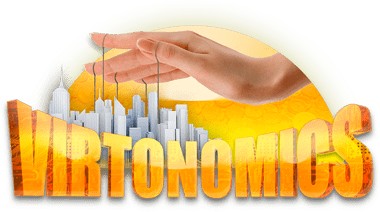 Fortunately, we have managed to combine all the necessary elements into Virtonomics – it’s a very well balanced resource both for learning and having fun in the process. The most distinctive feature of Virtonomics, is that we only provide the framework for users where they are creating and developing virtual markets. A simulated economy, that is fully dependant on actions of it’s participants. 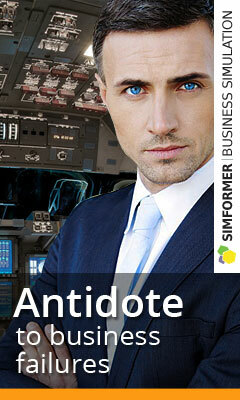 Virtonomics is an economic business simulator online. Players receive a starting capital and their further success depends solely on their in-game actions. There is a massive variety of industries they can choose from, with an even bigger diversity of possible enterprises. After a player picks his niche, he has to constantly keep investigating the market, in order to rise to the top and stay there. Competitive nature of Virtonomics, constantly keeps players on the edge. They have to invest in marketing, hire, train and manage employees, improve the quality of their produce, pick the right partners and satisfy their clients. On top of that – taxes and the political situation of their country is a big influence to the business. Every player has an option to pursue a career in politics, when they reach a certain level. The in-game choices are endless. Each playthrough in unique and satisfying. The best thing about Virtonomics is it’s community, composed of businessmen, students and overall smart people. Although the competition is high – players are extremely helpful, social and eager to share their competence. There are many resources a new player can employ in order to get on the right track – forums, wiki’s, help files, guides, videos etc. The only thing required is determination to become the best.